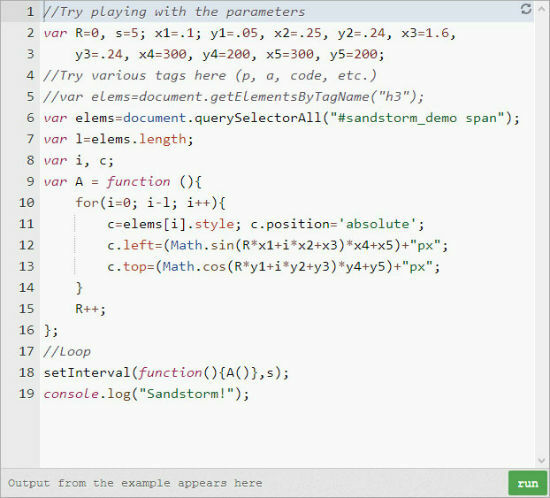 The element might for example be a simple div. On the push of a button, the contained code is run. That way your tutorials get way more lively. The training environment sits right inside your tutorial content. The autocompletion makes sure that once opened brackets and quotation marks get closed appropriately. An error reporting at the lower end of the editor tells you whether your sourcecode is valid or bug-ridden. 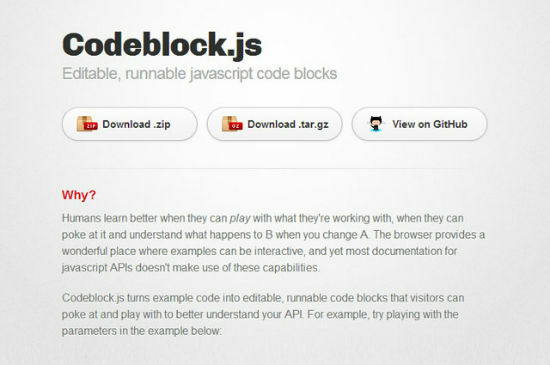 Codeblock.js is heavily customizable. Change the looks, functionality and wording to your liking. If you don’t want to, don’t show the console, hide the buttons or let go of line numbers.